We’re back with Part III of our Dart University series, in which we enlist the aid of some of the best in the business to help us learn the ins and outs of putting together anything from a hot street engine to a full race motor. As always, Dart’s Jack McInnis will be our guide, taking us through a few of the many bits of wisdom the company has accumulated through their years of competition experience. This time around, we’ll be looking at how to degree a cam, checking piston-to-valve clearance, and how manufacturing tolerances affect your build. One of the things you’ll often hear engine builders talking about when discussing optimizing an engine’s performance is “degreeing the cam,” but what that really entails isn’t necessarily obvious from that description. In a nutshell, degreeing is a process that determines the camshaft’s exact relationship to the crank, making sure that their centerlines are precisely aligned. 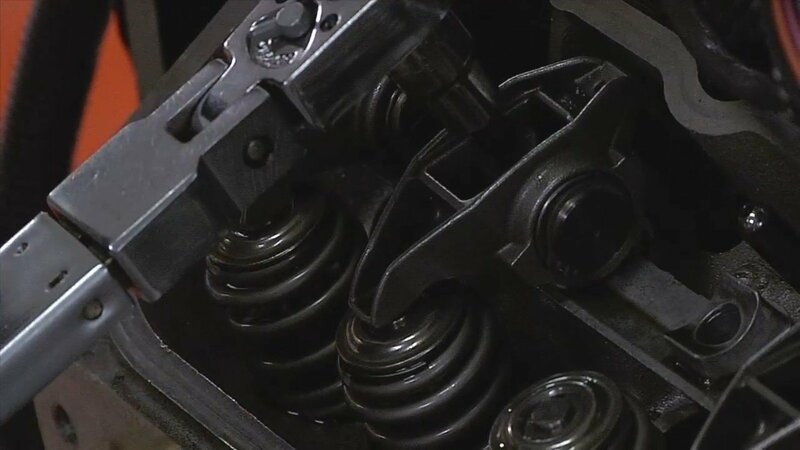 If the camshaft is positioned incorrectly, it defeats the efforts of the cam designer to time valve events properly, and more importantly, it can also lead to contact between the valves and piston tops. Degreeing the cam begins with determining top dead center on the crank for the #1 cylinder using a degree wheel, pointer, and either a piston stop or a dial indicator. 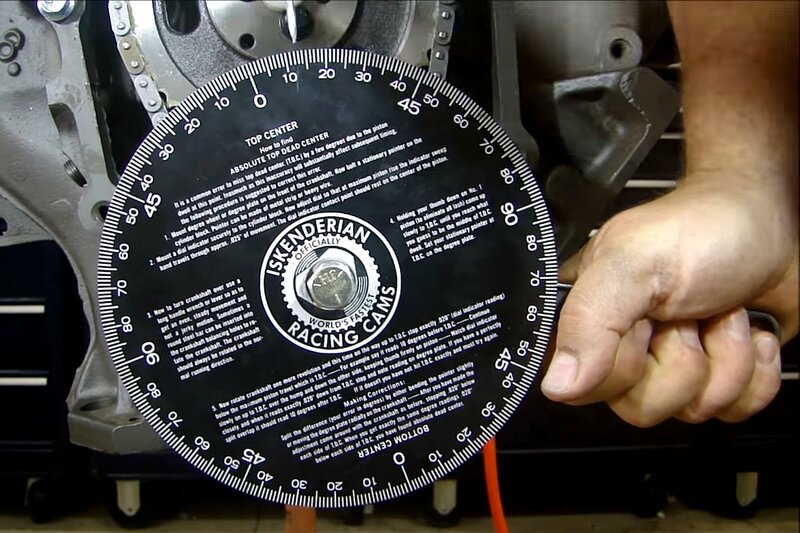 A dial indicator can be used in conjunction with a bridge to determine TDC, but per McInnis, non-pros are better off using the piston stop method. Once the crank centerline is found, judicious use of a dial indicator on the camshaft lobe will allow you to find the cam’s centerline as well. 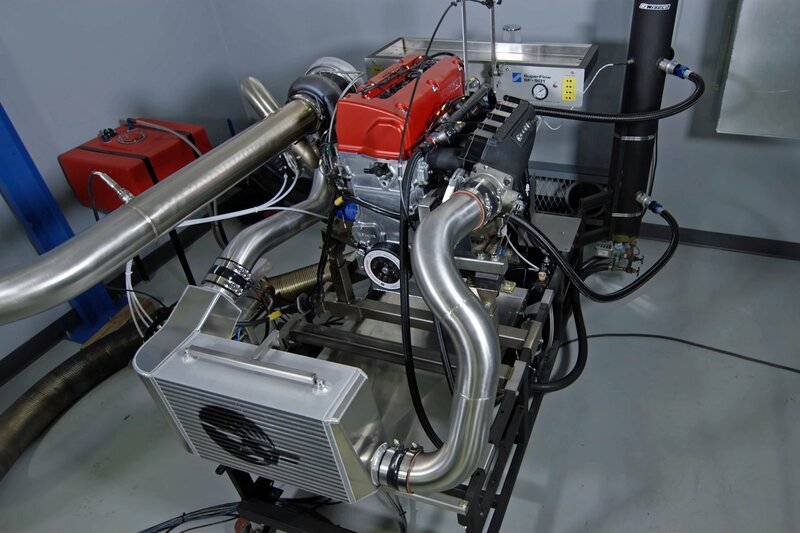 Armed with that information, you can determine whether the cam is “straight up”, or if the manufacturing tolerances in the camshaft, crank keyway, and timing set have moved the centerline forward or backward from true zero. An adjustable timing set, either with multiple fixed keyways or an adjustable gear with setscrews, can bring things back into line or adjust the timing ahead or behind. Even basic timing chain sets will usually offer a choice of three keyways – one to advance the cam, one to retard it, and another that’s “straight up” at zero degrees. More elaborate timing sets will offer more choices in cam timing with multiple keyways or a setscrew arrangement. 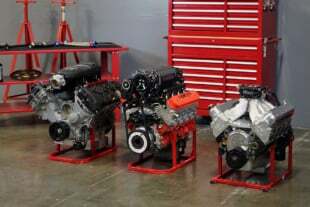 Most of the time when building an engine for the first time, swapping heads on an existing motor, or changing cams, piston-to-valve clearance won’t be an issue. But when you get a lot of lift, high-compression pistons, aggressive cam timing ahead or behind the straight up position, or a combination of the above, it’s important to check just how much room you have. You might think that as long as everything turns over by hand without going “thunk” you would be OK, but heat causes tolerances to shift, and the dynamic forces on the pistons, valves, and timing gear can cause things to get a little too intimate in operation. Some modeling clay on the piston valve reliefs will take the impression of the valves and let you measure clearance. To check valve clearance, you’ll need to mock up your long block and valvetrain, and grab some modeling clay. By sticking chunks of clay to the piston face over the valve notches, you can assemble the head to the engine, put together the valvetrain for that cylinder, and take it through two turns on the crank to create valve impressions in the clay. Carefully cutting and measuring the compressed clay will allow you to determine the actual clearance and decide if you’re good to go. 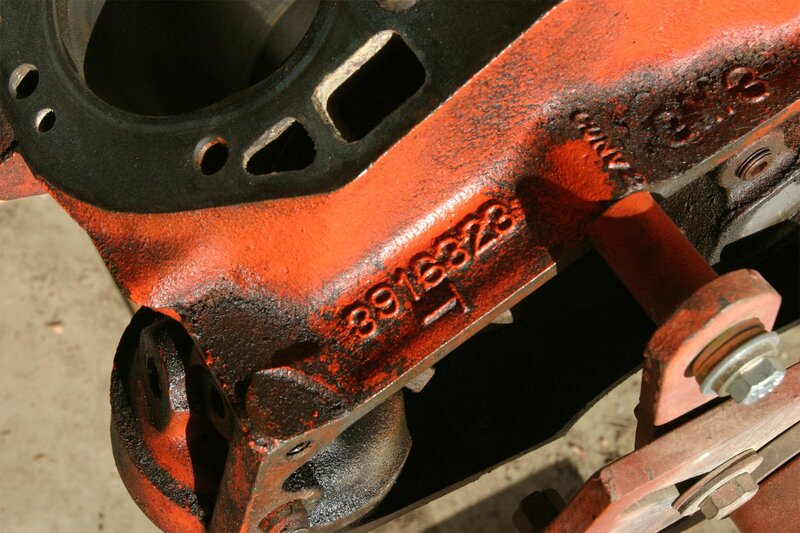 When mocking up the long block to check valve clearance, it’s important to use a previously-compressed head gasket (or a new one torqued to spec) to ensure an accurate measurement. Carefully cutting the clay will allow you to directly measure the cross section and determine both the minimum face and radial valve clearance. It’s also worth pointing out that you need to check both face clearance (the distance between the flats of the piston valve relief and the valve itself) and the radial clearance between the edge of the valve and the edge of the relief. Using clay impressions lets you literally dissect the clearance and see what’s really going to happen when the engine runs. Using a dial indicator, degree wheel, and some light “check” springs, you can actually map out valve clearance versus crank angle. For critical racing applications, you can also check clearance by omitting the clay and using a dial indicator on the nose of the rocker arm. With check springs installed, you can turn the engine over one degree at a time and manually compress the valve until it makes contact, then read the available clearance off the dial indicator. 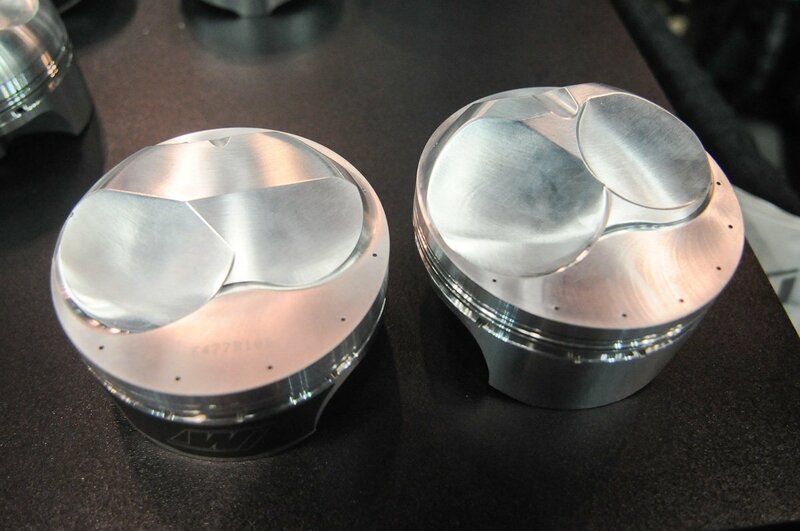 By working methodically through the valve lift duration, you can plot the clearance at all points and even check to see the effects of advancing or retarding cam timing. One of the things that separates a top-quality build from one that’s just average is attention to detail, and that starts from the bottom up with determining just how close to spec your components are. No manufacturing process is perfect, and every single part of your engine will have tolerances plus or minus from the dimensions on the engineering blueprint. While some imprecision is inevitable, reducing it in the first place is a worthwhile goal, and awareness of your components’ true dimensions is the key to a trouble-free build. GI Joe might have taught us that “knowing is half the battle,” but in the world of engine building, it’s the whole battle. Dart provides a level of detail in the information about their block prep that you just can’t get from a mom & pop machine shop. At Dart, the process begins with the way they track everything all the way through production. Buy one of their blocks, and you will get an information package that details what its true dimensions actually are, not just what they should be. Of course, sticking close as possible to those ideal numbers is their goal as well, and when you order up a prepped block from Dart instead of having the machine work done locally, you gain another important advantage. Using a CNC machining center instead of a traditional mill reduces the number of times the block has to be “set up” for individual operations, and fewer setups mean better accuracy. Besides the fact that nobody knows how to line hone and deck a Dart block better than Dart, they’ve also got a lot more invested in hardware than even the most well-equipped independent machine shop. Instead of a Bridgeport mill, you’re talking about multi-axis CNC machine centers – the “tombstone” fixture that Dart uses to mount blocks for machining outweighs some conventional mills all by itself! That hardware translates into both closer tolerances due to increased precision, and fewer chances for “drift” due to multiple setups. Once you have your block in hands, it’s up to you to double-check critical dimensions to make sure it will play well with your rotating assembly. The process doesn’t end once your block leaves Dart, though – Once it’s in your hands, it’s time to break out the bore gauges and micrometers to check the individual components of your rotating assembly against the published specs and compare them to your finished block. 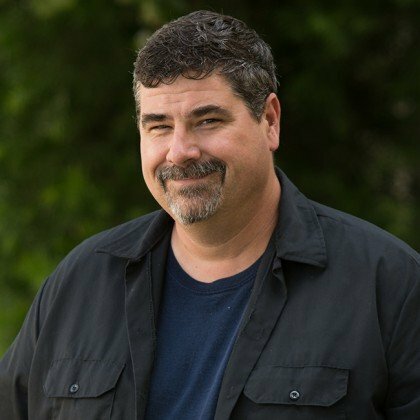 Keeping an eye on piston-to-bore clearance, rod dimensions, and the main/crank/bearing relationship will avoid problems down the line and give you a baseline for reference the next time you take the engine apart for freshening. With that, our first series of Dart University articles and videos is complete. That doesn’t mean there’s nothing left to learn, though – visit their website at www.dartheads.com to stay in the loop as they add new information to fulfill your continuing education goals. Remember, kids – education is a journey, not a destination!